Rasha Shehada has been picked by her brother and sister to take over the family business Diamond Line when their father retires next year. In her mid-20’s, she currently heads business development for the company her parents started in 1997 that’s now grown into a leading hotel supply distributor selling to over 15 countries. The opportunity to start a business wasn’t something her parents took lightly. As Palestinian refugees, they initially worked in Abu Dhabi where her father was a civil engineer and her mother worked at a kindergarten. Shehada explains that her mother is a very action-oriented person who had dreams of attending college but her family was never able to afford the fees. When the United Arab Emirates (UAE) government announced the Jebel Ali Free Zone in Dubai would allow non-Emiratis the opportunity to start a business, her parents decided to leave their jobs and take chance. "My mother is the type of person that is eager to learn and was very supportive when my father wanted to start a business," Shehada says. Being refugees, the chance to start their own business had a deeper meaning for the couple. "They wanted to do it because the UAE was the only country they could stay in and it was important to create a place where our family was stable financially," she explains. The family built its business initially through importing hotel cleaning products and supplies from different parts of the world and acting as distributor in the Middle East. A few years later they began an industrial division after acquiring the country’s first chafing fuel factory. Initially serving a Middle East market, they were able to expand their chafing fuel clientele into Europe and elsewhere. Since the UAE is still considered a developing country, the company is exempted from paying custom duty when exporting to a developed country under European Union (EU) law. "It’s a good policy that encourages developing countries to get more into industrial and manufacturing businesses that reach international standards," she says. The advantage that Diamond Line has is not just in price but also in its high quality fuel they import from Saudi Arabia. After the EU banned methanol, Diamond Line began offering ethanol gel as an alternative that’s considered more environmentally friendly. Managing a company and finding new business opportunities working with multinational clients and employees is something that comes second nature to Shehada. She credits education starting from her early school days to exposing her to different types of cultures that in later years proved helpful as she entered the business world. Two year ago, Shehada participated in a young entrepreneurs and family businesses exchange sponsored by the United States government. The goal was to expose Middle Eastern and American small business owners to each so they can learn from one another. The U.S. portion for Shehada took place in Ohio that has one of the nation’s largest number of family-owned businesses. "To be honest there wasn’t much of a difference, the core advantages and challenges are the same across cultures," Shehada says. "It’s still the father or mother that want to take control, the children that want to implement change and the third generation that wants to sell the company." She also saw similar advantages in customer loyalty, an advantage of being in a family business no matter where you are in the world. "It’s like we get constant market research when customers tell us they got a better offer from a company in Turkey for example," she notes. "That is a competing area for us, especially in Europe due to its geographical location." When customers find a better deal, because of their personal relationship with her family at Diamond Line, they always ask if they’re able to match the price before making the switch. That is why rather than dealing with corporations, her company prefers to work with other family businesses. 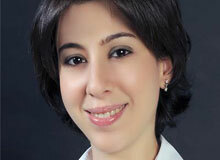 One area that Shehada took upon herself to improve within her family business was the company’s organization structure. "My dad started as a pure entrepreneur with no partners or financial support. When I came in, it was hard to tell the owner of a company that they built from scratch to invest in things that’s don’t matter to the client," she says. While the business was successful, one area she saw that was lacking was her father never took notice of employees and how they engage with one another. "When I came in, I wanted to focus on the company continuing to do well externally and also ensuring that employees are well trained and satisfied," she says. Instead of hiring outside consultants, Shehada developed the strategy and within six months began to see a boost in employee morale. One thing she believes that’s important for family businesses is to create a family within a family environment. For example, all holiday gatherings are hosted at her home where her family members serve food to their employees. She also gives preference to employee referrals when the company has a vacancy. Often times, the referral may be a family member that is very well skilled and qualified but has trouble finding a job in the UAE. During Dubai’s financial crisis, unlike many other companies, Diamond Line didn’t let any staff go or try to renegotiate lower salaries. According to Shehada, focusing on employee happiness has translated into improved financials for the company. "It makes a difference even in the way someone answers the phone, it leaves a good impression on a client that this is a place where people are happy," she says. A business that has a family within a family environment is one where the staff is always on the lookout for not only creating new opportunities but also keeping an eye out for what the competition is doing. "Even the driver is keeping taps on competing products when he’s out there making deliveries," she says. To avoid any potential conflict, her father had set up the company so all children have equal shares no matter how small or big their role. "Some may argue it’s not fair but I think it’s important to keep a good relationship and not have jealousy arise," she says.